Add some elegance to your jewelry box with these high quality, mirror finish, hypoallergenic gems. 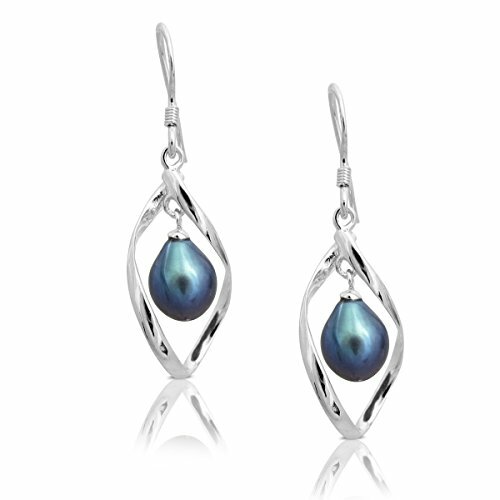 The earrings, will hang 2 inches from your earring hole on hypoallergenic stainless steel french hook wires. 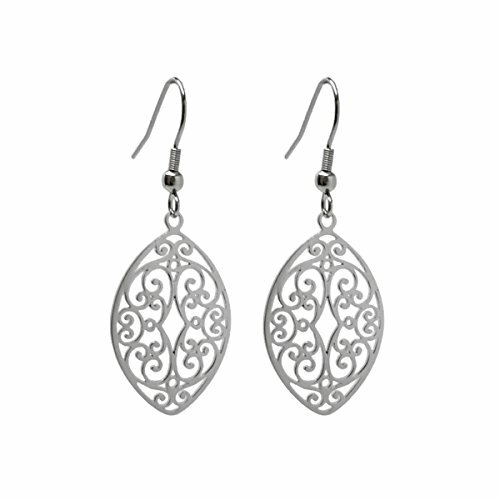 The filigree dangles measure 1.25 inches tall by .75 inches wide. They are high quality at 2mm thick, not paper thin like many filigree styles you see on the market. Made from 316L stainless steel, these beauties will NEVER TARNISH and are not susceptible to scratches, dings or dents. Stainless is also a great alternative for people that have skin reactions with other types of metals. 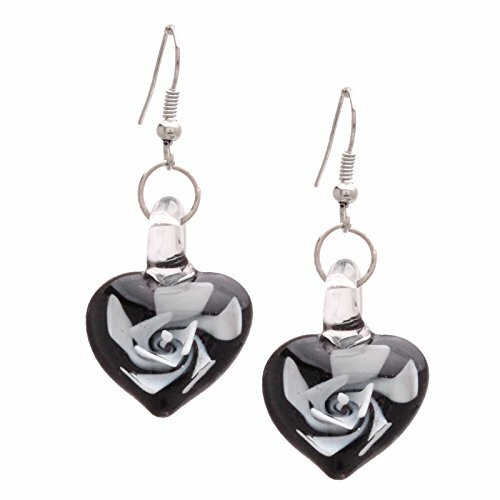 As an added bonus, these earrings come packed in a Loralyn Designs box with clear rubber stoppers for safety. Great for gift giving! Some believe that the swirl motif is the symbol of eternity, others the maze in which the Minotaur used to live, or an artistic interpretation universe's infinity. 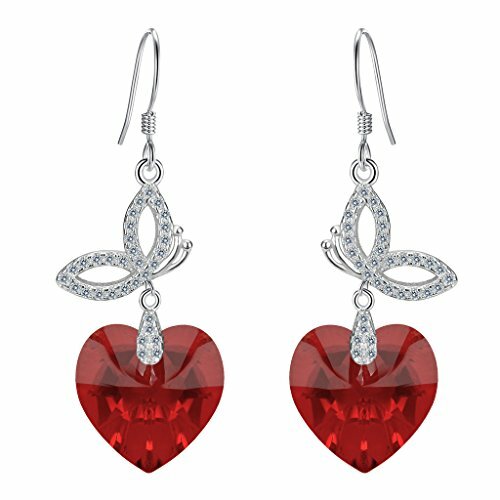 We are not sure which one is right, but we are sure that these earrings will be receiving infinite admiration with the simple yet sophisticated style. The swirl motif is inspired by the Ancient Greek mythological Labyrinth, which was an elaborate structure designed and built by the legendary artificer Daedalus for King Minos of Crete at Knossos. Its function was to hold the Minotaur, a creature that was half man and half bull and was eventually killed by the Athenian hero Theseus. Daedalus had made the Labyrinth so cunningly that he himself could barely escape it after he built it. Theseus was aided by Ariadne, who provided him with a skein of thread, literally the "clew", or "clue", so he could find his way out again. 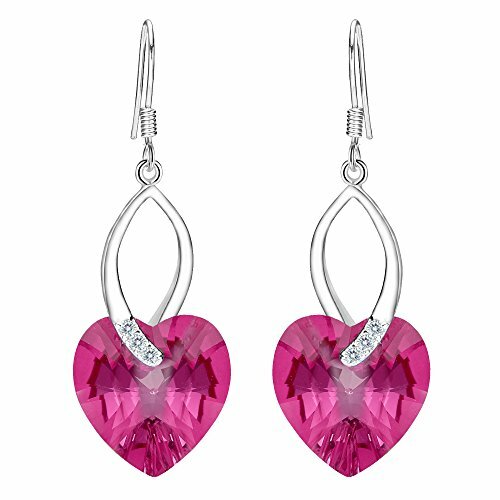 Stera The Art Of Jewelry designs and crafts top quality Sterling Silver jewelry at affordable prices. All of the jewelry pieces are handmade by our remarkable staff in our design studio.Our eclectic jewelry pieces combine classic and contemporary designs, nature motifs and inspirations from eastern and western cultures. 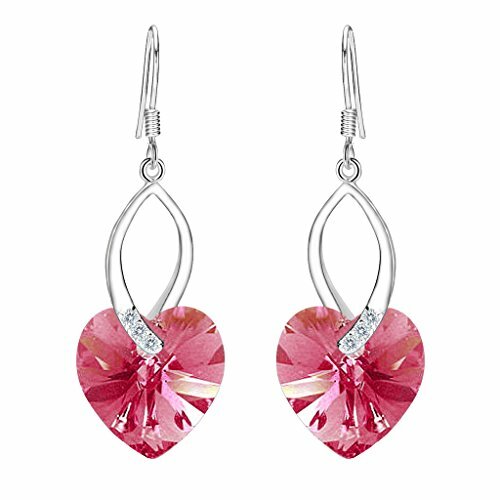 The exquisite jewelry pieces, many with colorful gemstones, are uniquely designed producing a jewelry line that is both fashionable and original.Every jewelry piece is created with great care, exceptional attention to detail and strict quality control. The jewelry pieces arrive packed in a lovely gift box. We provide high quality with personal and professional service to each buyer. Vintage style Turquoise Sterling Silver dangle earrings. 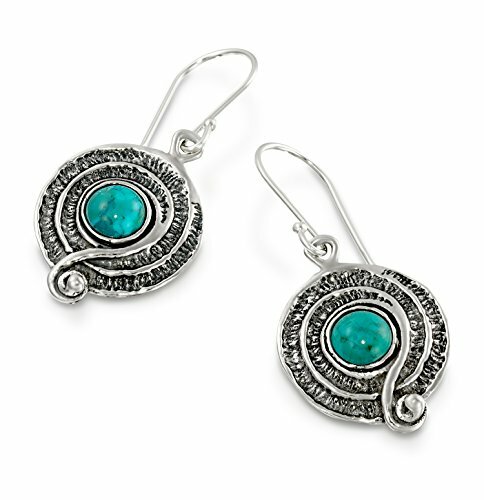 925 Sterling Silver round swirl dangle earrings with 6 mm round cabochon reconstituted Turquoise gemstone. These elegant earrings measure about 15/16" or 2.4 cm in length excluding the nickel free Sterling Silver French wire hooks. 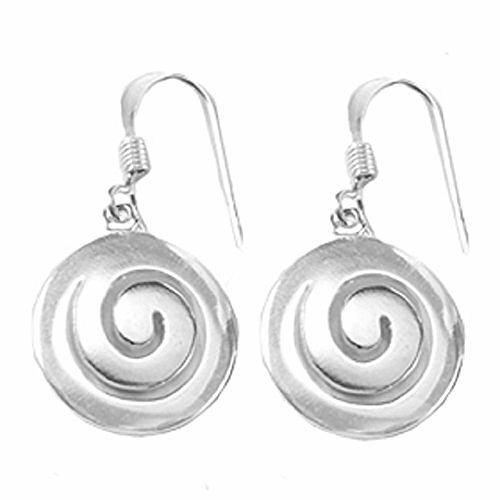 Unique artisan design.These exquisite everyday earrings are classy and stylish, a great addition to any Sterling Silver earring collection. Turquoise is one of the oldest protection amulets.